From my last post, Matt Dial and Peter Houppi asked to see some frame grabs from my new Sony XDCAM EX-1. 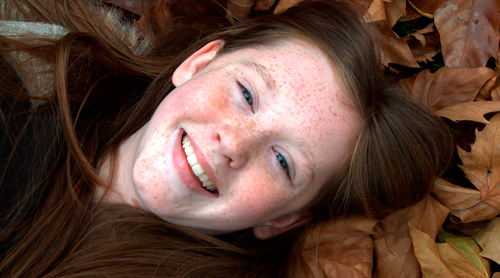 On Sunday I shot some video of fall color and my daughter, freckles and all, Brenna. The day was cloudy and the light was low contrast. Transferred the clips into Final Cut Pro 6’s browser via “Log and Transfer.” It took only about 20 seconds to convert two minutes of video. Loaded a clip into the viewer. Set an in and out point, then dropped the clip onto my timeline. Navigated to the frame I wanted, then made a “freeze frame” by going to>Modify>Make Freeze Frame. Name the file and export to your desktop. Open in Photoshop and work the file like any digital still photo. The photo open as 5.93 meg file. In Quicktime Conversion, don’t set the export to jpg. It adds compression jaggies to the frame grab. Adding a light unsharp mask to the frame grab really brings out the detail. I tried using David Leeson’s Voodoo Tool with ok results, but found my method looked as good without the upsizing to a 67 meg file. About two weeks before the massive layoffs at The Spokesman-Review, a box from B+H Camera and Video arrived in my office. My excitement was like that of a five-year-old opening a Christmas gift. I gingerly lifted my new video camera—a Sony PMW XDCAM EX-1—from the box. I had been pining for this camera since it was released last year. Thankfully the capital purchase gods favored me this year–or maybe as the dark layoff clouds gathered– they were just foretelling my moving out of management and back into the photo department. But what is the game changer you say? Well, It’s in the cards. This camera is tapeless. It captures to SxS Pro (S by S) memory cards. It’s a new Sony developed format that fits in the narrow V.34 slot in the MacBook Pros and in newer PC laptops. These cards are wicked fast. Pop a 16-gig card full of an hour’s worth of hi-def video into your laptop and use Final Cut Pro’s Log and Transfer feature to convert the video into and editable format (.mp4.) In about nine minutes you can have all your clips in your browser and start rocking your edit quickly. The best part about using Log and Transfer is that you can convert and start editing your a-roll interview file first. While you’re laying your a-roll on the timeline the other clips are converting in the background. That was something you couldn’t do with tape capture. What this means is that you can start editing a breaking news story in seconds. Time has always been the stickler with video production. By minimizing the capture time your productivity goes way up. Editing EX-1 video is just like editing HDV. You should have an Intel Core Duo based laptop or multi-core desktop with at least 4 gigs of ram. But that is really becoming the standard on any new computer purchase now. Also, Adobe Premire and Avid video editing programs now support the XDCAM format. The other benefits of the EX-1 are that it shoots in progressive mode. This is not the highly compressed interlaced video that is HDV. It is true HD 1920 X 1080 video. Its quality is stunning on a HD monitor. For the frame grab crowd, this camera captures great stills when you need it to. OK, granted video frames are not up the color depth standards of a Canon 1D Mark III, but for newspaper reproduction, I’d be amazed if you could really tell the difference. The cost of this camera right now is steep. It will set you back about $6500 and comes with an 8-gig card. A 16-gig card will cost you $800 bucks more. (The camera has two SxS slots.) Add wireless and shotgun mics, an extra battery and your looking at $8700.00 to get you started. I am hoping Sony will let the XDCAM format trickle down into the prosumer cameras. 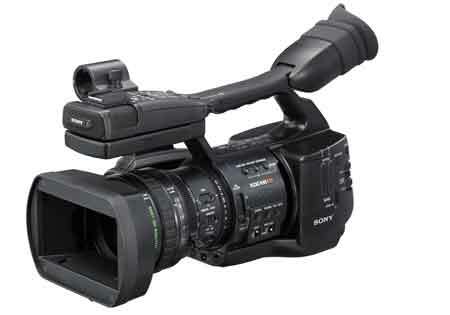 The current AVCHD tapeless format is slow and cumbersome to work with at times. The day after my EX-1 arrived, Canon announced the 5D Mark II. I will admit it gave me pause. After shooting video last week with a new Nikon D90, I am confident that a full-featured video camera is still needed—a least for advanced video storytellers. Now that I am back in a producer roll, I am looking forward to time behind the EX-1. It is forcing me to shoot more like a Lenslinger would. 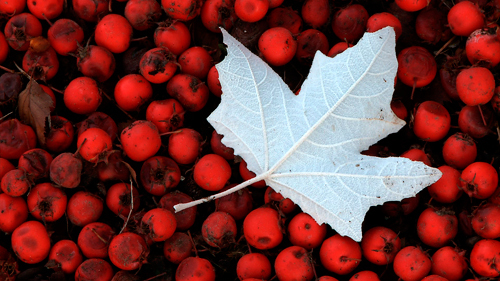 From now on, autofocus is for the point and shoot set. And yes—the tripod is going to be my best friend.